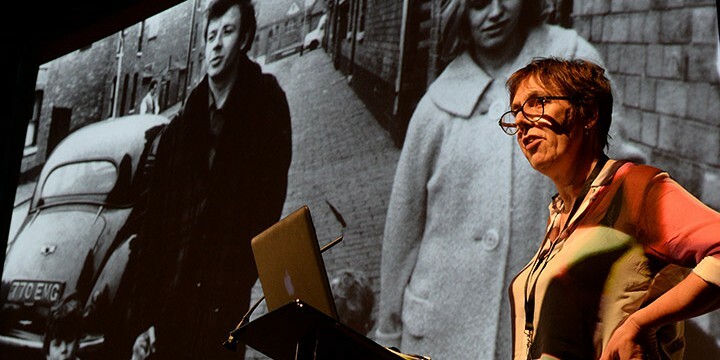 Whatever you do, whatever explorations you might be making into a new territory, the important thing is to have a good story.” Rebecca O’Brien talks about bringing Ken Loach: Untitled to The Pixel Market. Sixteen Films’ upcoming cross-media project exploring the 50-year career of Ken Loach won the ARTE International Prize for The Pixel Market last year. 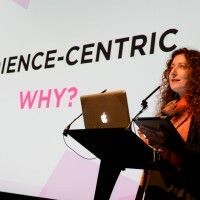 After 25 years of producing Loach’s films, there is not much that fazes Rebecca O’Brien but she admits to fleeting doubts as she took to the stage to pitch the project in The Pixel Market Finance Forum. “I was sort of surprised that an old lag like me would be able to stand-up in that particular forum with all those young digital people,” says O’Brien, who co-runs Sixteen Films alongside Loach and writer Paul Laverty, with characteristic wryness. The doubts were unfounded. 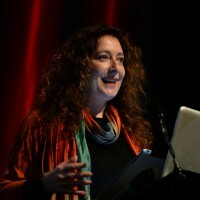 O’Brien’s presentation, with its tales of working with Loach on films such as Hidden Agenda and Sweet Sixteen and passionate explanation of why she wanted to do the project, was one of the highlights of Power to the Pixel: The Cross-Media Forum. Comprising a theatrical documentary and an interactive website, as well as potentially a book and a travelling exhibition, the project will examine Loach’s work through the battles he fought to make and show his films. “I think it won the prize because it’s a good story and good stories win through. That’s an important message to anyone venturing into a new world. Whatever you do, whatever explorations you might be making into a new territory, the important thing is to have a good story – the battles of Ken Loach make for a good story,” says O’Brien. The project, recently renamed Ken Loach: Untitled from the originally announced The Flickering Flame, was one of eight projects pitched on stage at The Pixel Market Finance Forum last year. It is not Sixteen Films’ first foray into cross-media. Loach’s documentary Spirit of ’45 was accompanied by an interactive website transposing users back to post-war Britain, created in collaboration with London and Sydney-based The Project Factory. 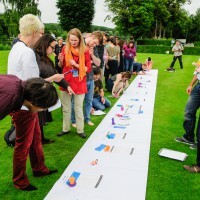 O’Brien says, however, that attendance at The Pixel Market helped her connect with several potential partners outside her usual spheres of interaction. “It was an opportunity to reach out to areas I don’t have direct contact with… I got interest from Vimeo, from iTunes and all sorts of people I wouldn’t have known how to start contacting… it opened a lot of doors,” she says. The idea for Ken Loach: Untitled dates back to the arrival at Sixteen Films of several boxes packed with memorabilia related to Loach’s career after he cleaned out his attic a few years ago. The company put the paper archive into the care of the British Film Institute (BFI), but O’Brien says she has long been mulling how to give it more exposure. “There are notebooks, furious letters from one person to another and beautiful documents like the continuity script of Kes for instance. It annotates what’s actually said in the film as opposed to what’s in the script. It has photographs of the cast in their costumes and mucking about. It’s a wonderful, historical document,” says O’Brien, referring to Loach’s 1969 breakthrough film. “After we’d given Ken’s paper archive to the BFI, it always seemed to me that that wasn’t the end of it and when we did the Spirit of ‘45 project I could see the value of doing something digital as a way of exploring the archive further,” she continues. Some eight months on from The Pixel Market, the theatrical documentary at the heart of the project is due to go into production in July, with respected filmmaker Louise Osmond in the director’s seat, rather than Loach’s son Jim Loach, as previously announced. Osmond’s recent credits include Dark Horse, about a small-town racehorse syndicate, and hit TV documentary Richard III: the King in the Car Park. The theatrical documentary will combine interviews with Loach, his collaborators and, where possible, his detractors as well as footage and memorabilia from the filmmaker’s long career. In addition to signing Osmond, Sixteen Films has secured the backing of BBC Films and also expects the BFI to confirm its support at the beginning of July. In the backdrop, O’Brien has been developing the framework for the web documentary with Paris-based digital production house Upian, the co-producer on the interactive side with the backing of the Franco-German broadcaster Arte and France’s National Cinema Centre (CNC). “It’s split quite well in that the UK side is providing the story, the documentary content and archive material while the French-side is creating the digital work that evolves out of that,” she adds. Details of the work have yet to be set but the basic idea is to create a multi-layered linear documentary combining a re-cut version of the theatrical feature with artefacts and memorabilia from the extensive Loach archives. “They act as sort of ‘digital footnotes’ which can be accessed to delve deeper into the story,” said O’Brien. Co-producer of the recent web series Do Not Track, tackling internet privacy, as well as the award-winning Alma – A Tale of Violence, Upian was already on board the project when O’Brien made her Pixel Market presentation. The company connected O’Brien with ARTE and also secured the CNC funding for the interactive side of the project. Aside from the standalone theatrical documentary and interactive site, O’Brien is also in talks for a potential book and travelling exhibition. The Guardian has also expressed interest in creating an episodic web campaign revolving around individual artefacts in the archives. “The fun thing about being a producer is that you don’t have to be stuck in a mould and doing it the same way all the time. That’s what excites me about doing this project,” concludes O’Brien. This year’s Pixel Market is now open for applications. The deadline to apply is Thursday 16 July 2015, 18.00 BST. Head to our applications page for full details and to apply.